The COA's annual Boxwood Tree workshop instructs you on how to assemble and decorate a holiday boxwood tree centerpiece. The cost is $15 for the class and all the supplies. You'll be instructed by an experienced floral designer. 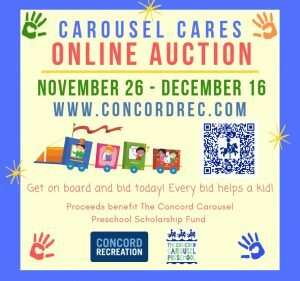 Payment is due upon registration, please call 978-318-3020 to sign up and get creative! 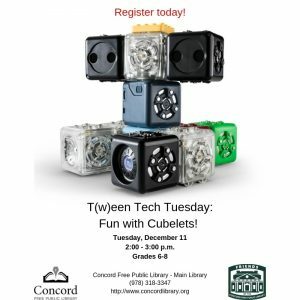 T(w)een Tech Tuesday: Fun with Cubelets! “Clearing Away the Smoke: How to Talk with Teens about Today’s Marijuana” Free and open to all.